TMJ stands for the temporomandibular joint, which is the spot where the lower jaw is connected to the skull on either side of the head. This joint is a major stress point, especially for talking, chewing, and other oral functions. TMD stands for temporomandibular disorders and refers to a wide range of issues that can affect the TMJ, from muscle weakness and facial and jaw pain to joint pain and limited jaw movement. 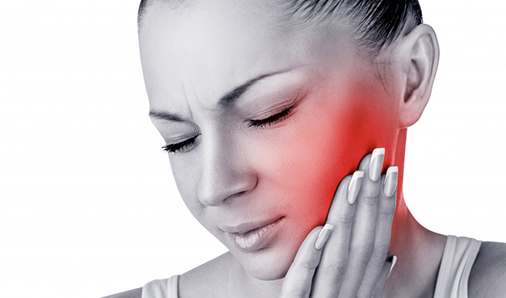 HOW DO YOU KNOW IF YOU SUFFER FROM SOME FORM OF TMD? Sensitivity or pain along the jaw, neck, shoulders, face, and ear or when the mouth is in use. Headaches, dizziness, earaches, and toothaches are also possible TMD indicators. TMD treatments vary greatly depending on the specific disorder and severity of the condition the patient is suffering from. Less invasive methods can include physical therapy, hot or cold packs applied to the jaw area to reduce pain, a soft-food diet, relaxation techniques, medication, and night guards. More involved techniques can include corrective dental procedures and surgery. Our professional dental staff is able to assist with diagnosing and treating your TMD/TMJ; we help in restoring the higher quality of life you deserve. Contact us today to schedule an appointment in Eagan if you feel you may be suffering from this type of disorder.